The Cheese strain originated in the late 1980s in the UK. Cheese became very popular because of its distinct, pungent aroma and consistent potency. It came from a Skunk #1 phenotype that was further enhanced and developed by UK growers. They came across a phenotype that had the unique smell and flavour which led to the name "Cheese". Here at Zativo, we have different seeds of automatic versions of Cheese in stock. 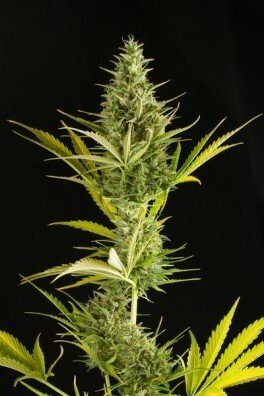 Seed Banks like Royal Queen Seeds, Dinafem and Big Buddha Seeds took the famous strain and crossed it with ruderalis and sometimes with other indica strains to stabilize an autoflowering variety of Cheese. The results are convincing, to say the least! You can expect an indica-dominant plant with stable and improved genetics, plus vigorous and easy growth. On top of that, the Cheese Auto stays short and finishes fast. The smell and taste are all the way Cheese, like you would expect. You will be hit by this extremely pungent, cheesy skunk smell and this is also what will coat your mouth. It is so dank, you will definitely come back for more! The flavor is further enriched with a fresh flower taste. A Cheese cultivar can easily be recognized among most other strains. Since she is an indica-dominant hybrid you will feel a fast-acting, potent and deep body stone. It is long-lasting and perfect for some relaxation time. Moreover, it will sooth your body and mind; with its strong and physical effect, it is ideal to put you to sleep. This suits people who suffer from insomnia very well. 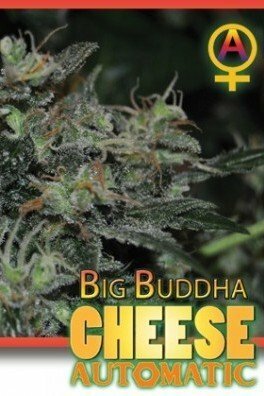 Cheese Auto is really easy to grow. She finishes her life cycle in only 9-10 weeks, so if you want Cheese but can't wait too long for it, the automatic version is perfect for you. She grows vigorously and shows her indica traits during growth. Cheese Auto stays rather short and compact which makes her especially suitable for stealthy operations. This strain reaches heights between 60 and 100cm. 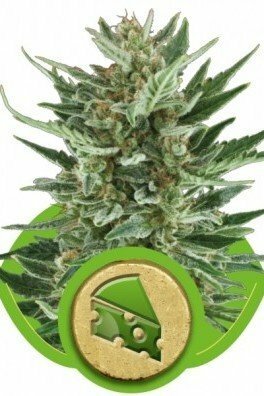 Cheese Auto is a very good yielder and will reward the indoor grower with 425-475g/m² of her dank and aromatic buds. But under the sun and in nature is where Cheese Auto really thrives. Outdoors, she gets a little bit taller and produces an awesome 120-210g/plant.